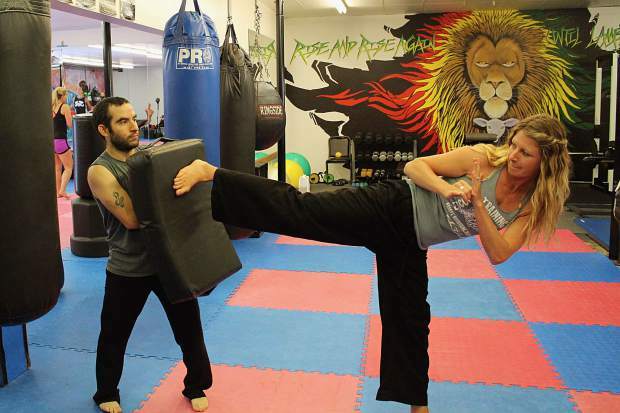 Over the years, Escobar has worked closely with Live Violence Free — a nonprofit that helps victims of domestic violence, sexual assault and child abuse in South Lake Tahoe — by putting on free, limited-time self-defense courses. Now, Escobar is offering these self-defense courses every Friday at the gym for local Tahoe Woman. What to Wear: Please wear comfortable clothing to workout in. As well be prepared to be barefoot. “We’re trying to make it accessible to all women. It’s really intimidating to just come into an MMA [mixed martial arts] gym, or any kind of fighting gym, so we wanted to get their feet in the door,”.